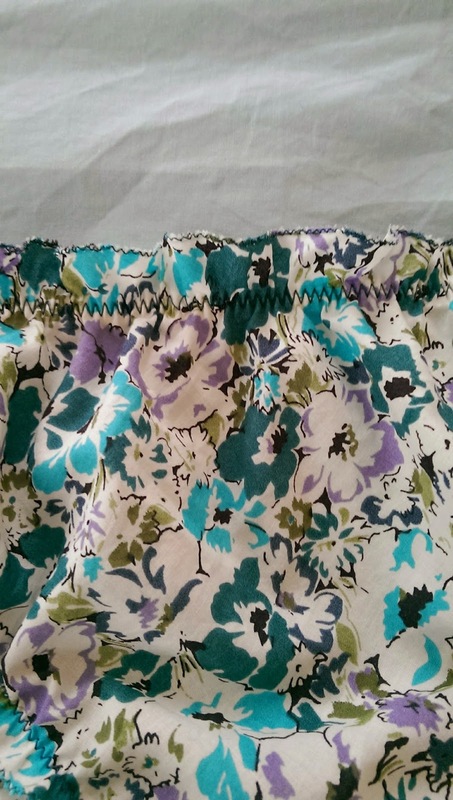 The Knit and Run Blog: Oh pants! 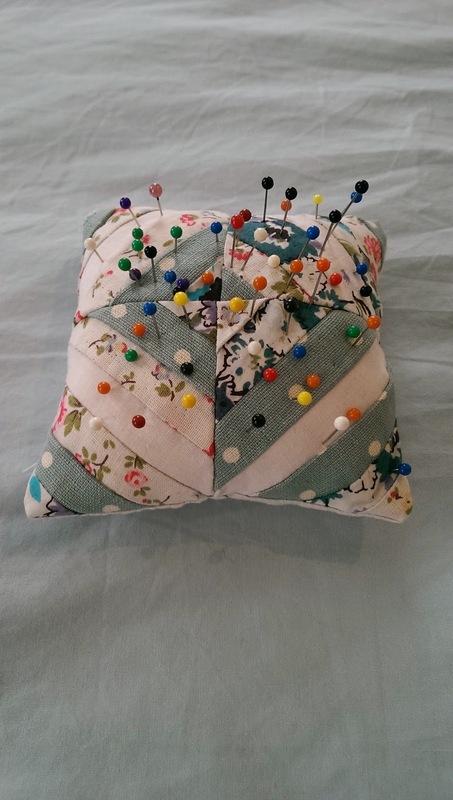 I've also made myself a pincushion using various scraps from my previous projects, using this sweet little tutorial on the Liberty blog. Clearly I should stay away from quilting until my accuracy improves - the pattern on it didn't turn out quite so perfect, but I'm still happy with it. And it works very well, much better than just throwing my pins onto the table and then losing them all. And here's the pants! 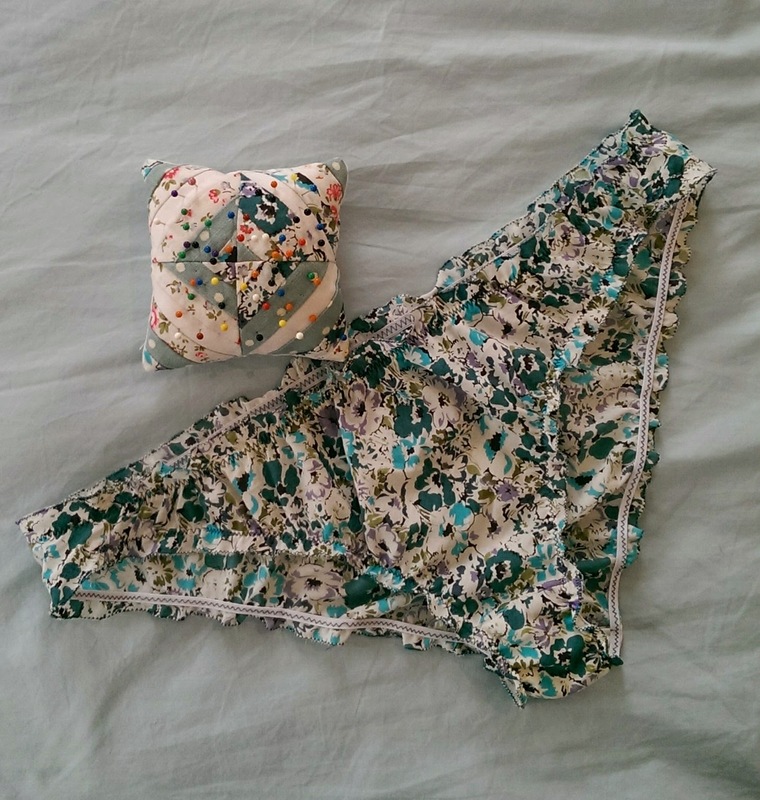 I bought the Sew Over It Knicker kit because I just love the idea of sewing some cute little knickers. I figured I could use the kit as a tester to get my head around the techniques, and then use the pattern for a 'proper' pair. Which turned out to be a good idea, because the pair I made using the kit were pretty horrendous. 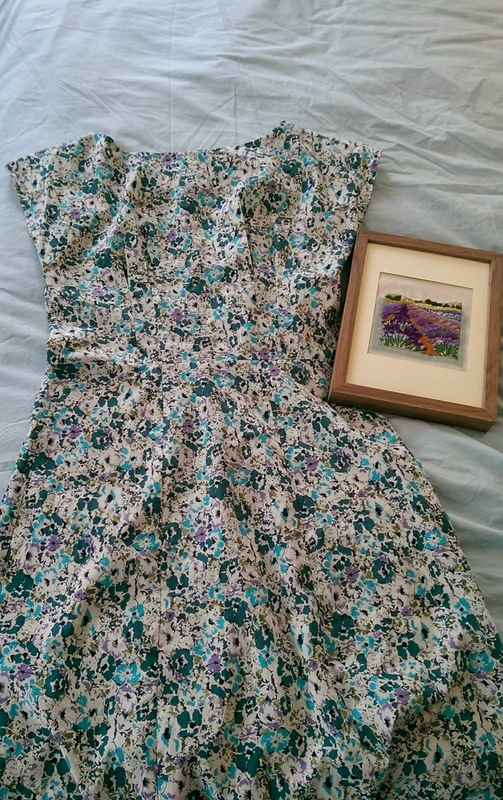 The fabric itself was a very lovely, very very lightweight cotton. But the thread supplied with it seemed to have been picked at random - it nowhere near matched. Also, there sizes on the pattern had no corresponding measurements, it was a blind guess as to which size you needed to cut. I ended up using the suggested elastic lengths as a guide. The instructions asked you to finish the edges of the waistband and leg holes with a satin zigzag stitch, which proved to be impossible. The lightweight fabric just puckered up and turned into a horrible mess. I tried lots of different things, and in the end just folded it over and straight stitched around because I just wanted them finished. Putting in the elastic was remarkably easy and technically at the end of it I did have a wearable pair of pants. Just awfully ugly ones. For the 'real thing' I did zigzag stitch the edges, but not on the satin stitch setting, and the slightly firmer fabric held up much better. Also, I got the crotch lining spot on this time, and managed to get the edges and seams all neat and tidy. I was a bit proud. 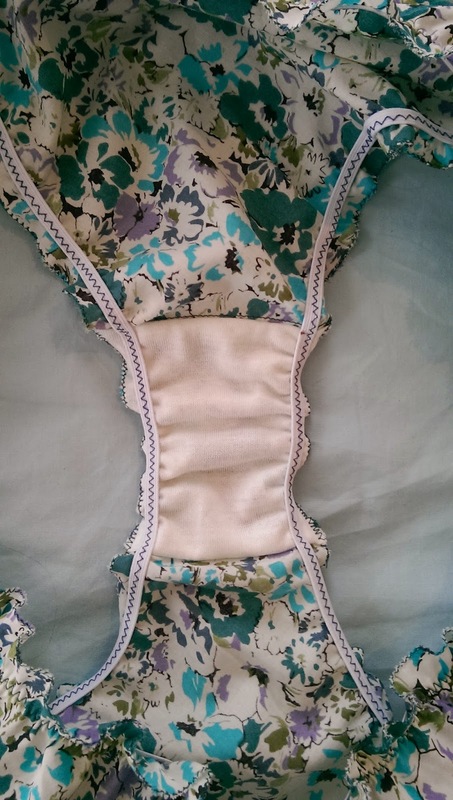 Finally, the instructions tell you to divide the elastic at the waistband equally between front and back. But because the back piece is much larger this left my test pants with a slightly loose and un-ruffled front, and a very ruffly back. I just allowed a bit more elastic for the back on my 'proper' pair.